The Best Australian Genealogy Blogs from thousands of Australian Genealogy blogs on the web using search and social metrics. Subscribe to these websites because they are actively working to educate, inspire, and empower their readers with frequent updates and high-quality information. Australian Genealogy newsletter is a comprehensive summary of the day's most important blog posts and news articles from the best Australian Genealogy websites on the web, and delivered to your email inbox each morning. To subscribe, simply provide us with your email address. Bribie, Queensland, Australia About Blog Shauna Hicks is an Australian genealogist & family historian, researcher, speaker, writer & traveller. Her blog records her research (both in Australia and overseas), links she like, articles or newsletters she read, family history news that excites her and so on. The aim is to be a weekly record of her activities which might be of interest to other genealogy researchers. Facebook fans n/a. Twitter followers 3,313. Melbourne, Victoria, Australia About Blog Liz Pidgeon is the Local and Family History Librarian at Yarra Plenty Regional Library, in Melbourne, Victoria Australia. This blog informs their community about current events, resources, including websites that can assist an Australian family history researcher with their research. Australia About Blog Here you can find reports about the various activities and groups at the GSV, news about our library and resource collection, book reviews and articles of interest about family history and genealogy. Facebook fans 1,889. Twitter followers 441. Brisbane About Blog The Genealogical Society of Queensland (GSQ) was formed to provide help, support and advice to those wishing to discover more about their family history. Subscribe to keep up with the Interesting events and new offerings in family history from GSQ. Facebook fans 661. Twitter followers 1,386. Australia About Blog The musings of an amateur Australian genealogist excited by Web2.0 applications. Facebook fans 114. Twitter followers 1,799. Australia About Blog On this blog I will share my ideas, news, discoveries, successes and failures as I research my Australian Family History and the lives of my Irish, English and Welsh Ancestors! Adelaide, South Australia About Blog Kylie Willison shares her ancestors’ stories, family stories, and genealogy resources on this blog. Tasmania, Australia About Blog A pictorial website dedicated to the pioneers of early settlement in Tasmania. 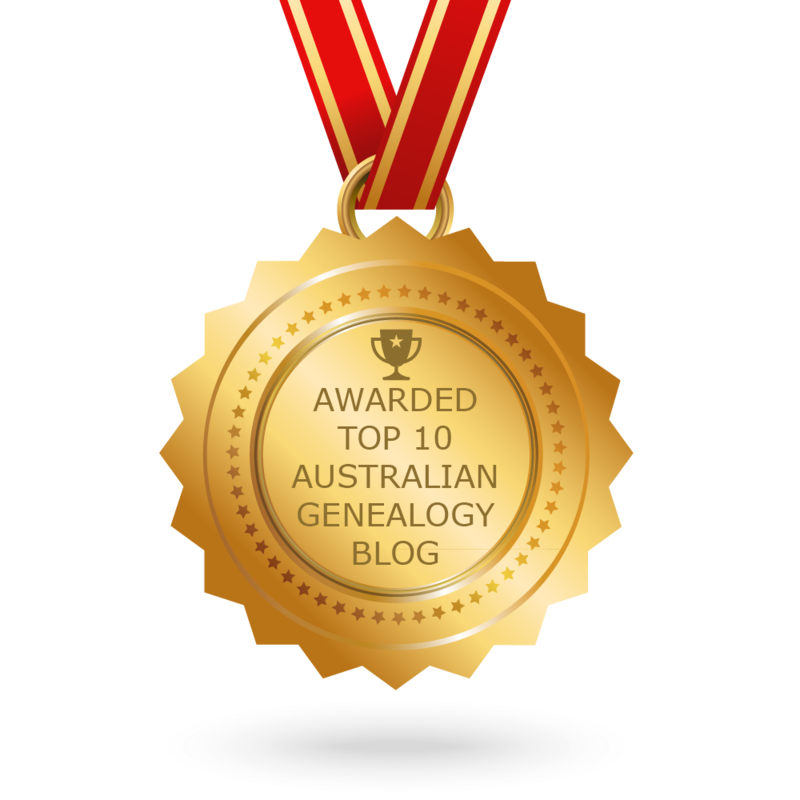 CONGRATULATIONS to every blogger that has made this Top Australian Genealogy Blogs list! This is the most comprehensive list of best Australian Genealogy blogs on the internet and I’m honoured to have you as part of this! I personally give you a high-five and want to thank you for your contribution to this world.